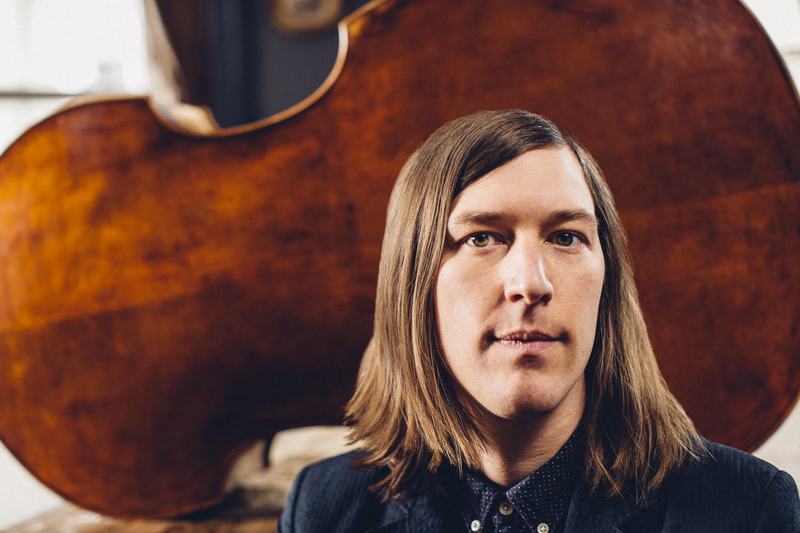 Bassist, arranger, and composer Matt Ulery, whose trio of critically acclaimed albums of Greenleaf music (issued from 2012-14) contained an often dazzling array of styles and musicians, continues that trend with his new album, “festival” (Woolgathering Records). Released on his own label, the recording is credited to Matt Ulery’s Loom / Large and features two different ensembles, one his regular quintet (Loom), the other a 14-piece orchestra (Large, including violin soloist Zach Brock), performing three distinct programs. The album opens with the only non-original composition on the album, an orchestral reading of Jimmy Rowles’ classic “The Peacocks.” Ulery’s classy arrangement features Brock playing the melody and the major solo. Ulery takes a short solo over the easy brush work of drummerJon Deitmeyer (with the trombones adding a quiet chorus) before pianist Rob Clearfield steps out front for a moment before the Orchestra returns to the main melody. Large also appears on the following track, “Hubble“, a wondrous journey through several changes in dynamics that also has intelligent use of the strings, reeds and brass, sending out melodic signals throughout the universe of the song. The forceful 4/4 rhythm, the quiet interludes, strong solos from Clearfield and Brock, and the excellent arrangements for the sections makes this such an impressive work. Matt Ulery has created his own sound, hearing a confluence of sounds and styles unlike any contemporary composer. It strikes this listener a decade and seven albums into his career that melody is his guiding principal and this his instruments are the people such as Jon Deitmeyer, Rob Clearfierld, Zach Brock, eighth blackbird, Marquis Hill (trumpet), Russ Johnson, and others who he interpret his wondrous messages. “festival” is a treat, three albums on one disc, 74+ minutes, and well worth your time and attention.